Today am gonna give u an authentive Thanjavur (my hometown ) recipe guys..Ofcourse it's sweet, no doubt abt it.. This is Ashoka Halwa and it's a special thanjavur delicacy. 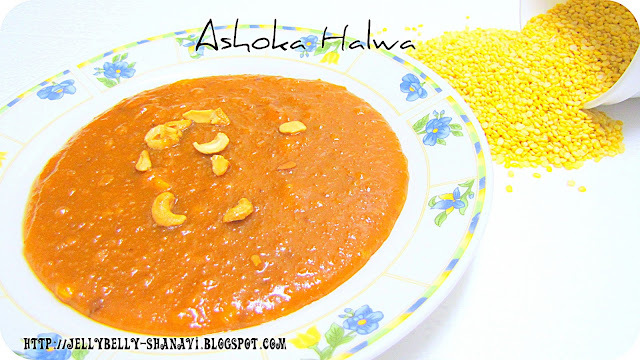 Am a big big fan of Ahoka halwa. Actually we had a Iyengar bakery rt outside my street and they make such awesome bakes n treats . Also this yummylicious halwa too.. That time it was around for 10 rupees. My mom would give us 10 rs twice a week and i would fly around there and waiting n the queue ,to grab these halwa hot hot..They just keep this halwa in the banana leaf and seal .. But those ghee will be running everywhere around the parcel and ofcourse my hands. Still can't forget those days !!!! . I like to have this delicacy esp when it's hot..omg..awesome. I hear there are lot more versions of making this now, but I'm told the version i'm gonna give u , is the original recipe. Some may add wheat flour, maida /all purpose , and that is purely to increase the quantity such as in marriage,receptions, any get togethers. Actually I called my mom few weeks ago to find out the original recipe. We've a 80 + year old paatima who lives near by assured that , it's prepared in the following way .... Thanks to the Big Lady..
Ur yummylicious halwa is ready to gobble !!!! Congrats on your milestone dear..May u grow everyday n reach heights.!! Halwa looks so rich n decadent..YUM!! 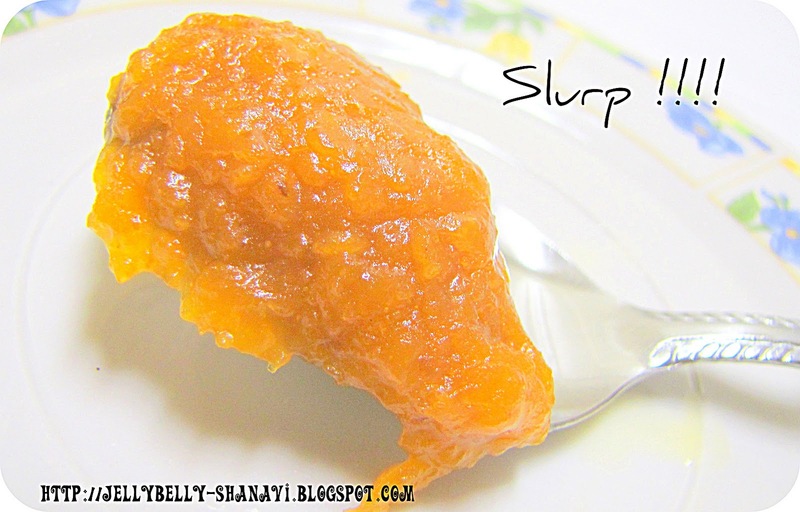 Congrats on ypur 150th post...what a tempting and drooling halwa....they look awesome! Congrats on your 150th posts, this asoka halwa looks delicious. Shanavi, congrads.. like the new look.. and loved the halwa.. really slurpp.. slurppp..
Congrats dear on your 150th post,halwa looks super delicious,drooling. Looks yummy and seems different. 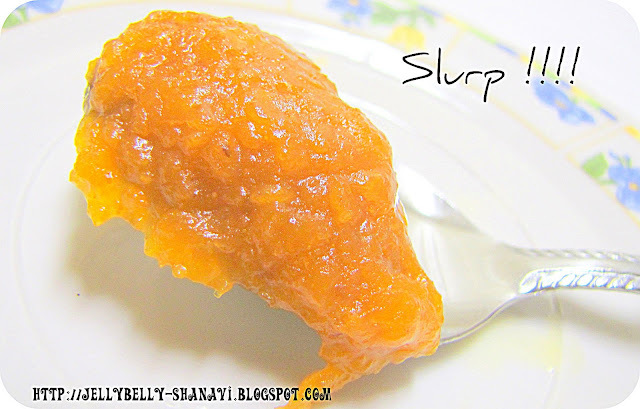 jelly texture gives much more taste to halwa. Congrats on the 150th post Shanavi Ashoka halwa looks delicious. looks superb... congrats and keep rocking..
Congrats on ur 150th post Shanavi, keep rocking gal..Ashoka halwa is one of my most favourite halwa after the famous karaikal wheat halwa, love that glossy halwa..
Congratulations on your 150 th post. WOW...very delicious looking halwa. 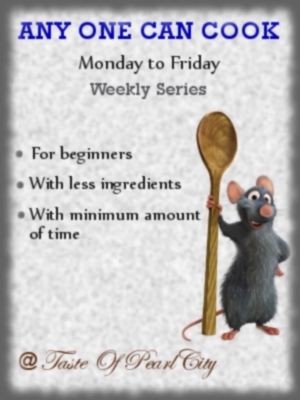 Thanks for sharing...bookmarked the recipe! looks delectably yum shanavi-- i wanted to make this for my 100 th post, but somehow it never happened ! anyways truly loving it ! and hey tanjore is ur hometown-glad to know it, kumbakonam is where i was born and my grandparents still stay there---so yay we r one step closer !!! Congrats on the 150th post..
Congrats Shanavi and great looking halwa. congrats on ur 150th post! !..halwa looks awesome..
Congarts on your milestone..Ashoka halwa looks so delicious..lovely color too. 1st time here..loved the recipes, blog and gald to follow you. Congrats and wish you many more to come. Lovely halwa. congrats on ur 150th post dear..wish u many more like this..halwa is so tempting n nice colour.. Very inviting and delicious halwa!! Congrats. Really I want to slurp that halwa.